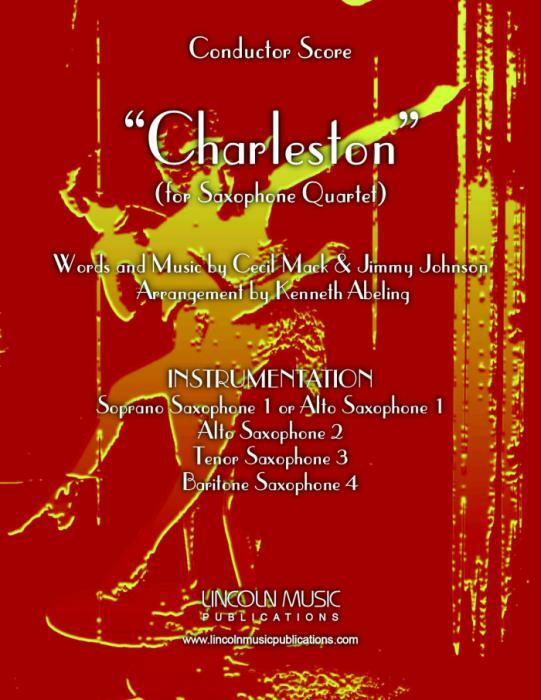 Mac & Johnson’s “Charleston” or “The Charleston” as it is most frequently referred for Saxophone Quartet is a bit of a workout. The chart is in typical Dixieland fashion with both written solos and chord changes for improvised solos provided throughout. The rarely used introduction begins the piece as it works it’s way into a Dixieland frenzy at the end! Suitable for numerous performance occasions your audiences will love this staple of the American Jazz/Dixieland library… Both Soprano and Alto for Soprano parts are included.